At Mastercraft Kitchens we believe that you are buying more than hard surface materials arranged into a workable kitchen. As the heart of your home, the kitchen is where you congregate and engage with your family and friends on a daily basis. School homework is done. Pets are fed. Dinner meals prepared, served and cleared away. Long philosophical chats are conducted over a glass of wine. Or two. The heart of your home needs to feel warm, practical, stylish and inviting. It needs to reflect your character. For these and many more reasons, we are honoured to have Trudi Nelson as brand ambassador for Mastercraft Kitchens. Trudi is a well-respected TV host and newsreader, currently working for MediaWorks. She is also a current member and a Past President of The New Zealand Guild of Food Writers. In addition to running a busy family, Trudi also runs The Fresh Factory in Auckland, and has her own foodie blog: Fresh in the kitchen. 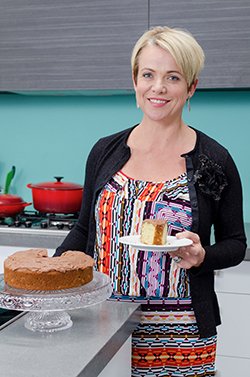 You can find some of Trudi’s favourite recipes right here on our site.